I don’t have time to write a thoughtful post today because I’ve already spent 8-9 hours digging through medical files and invoices, making phone calls to hospitals and doctor offices to get copies of missing invoices, making lots of photocopies, sending and receiving emails and faxes…. WHY? 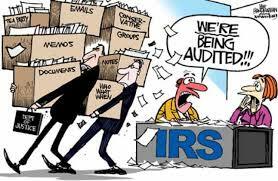 We’re being audited by the IRS. Yes, they want all our medical expenses for 2013. The year of my devastating car wreck. Ugh. 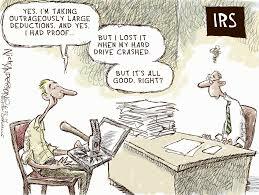 So I’m trying to find some humor and I’ll share a few cartoons. Oh, and I am thankful for one thing: everyone I called at all the medical offices were super nice and took time to help me. They all expressed compassion as they helped me gather information. 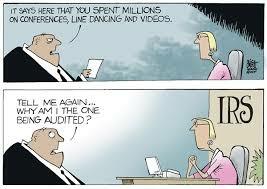 As our accountant says, the audit just adds insult to injury. But we’re getting it done. What a “wonderful” task for your humility! HA! I separate out all those pesky pieces of paper from sundry medical services. 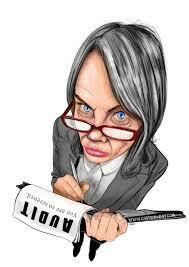 — I just received a bill for services to my husband who died two years ago! I’m fairly organized, Priscilla… have separate file folders for each physician/hospital/clinic/PT office, etc. for both of us. But sometimes I miss something… especially in 2013 when I had my wreck and was overwhelmed for several months, and of course that’s the year we’re being audited for.